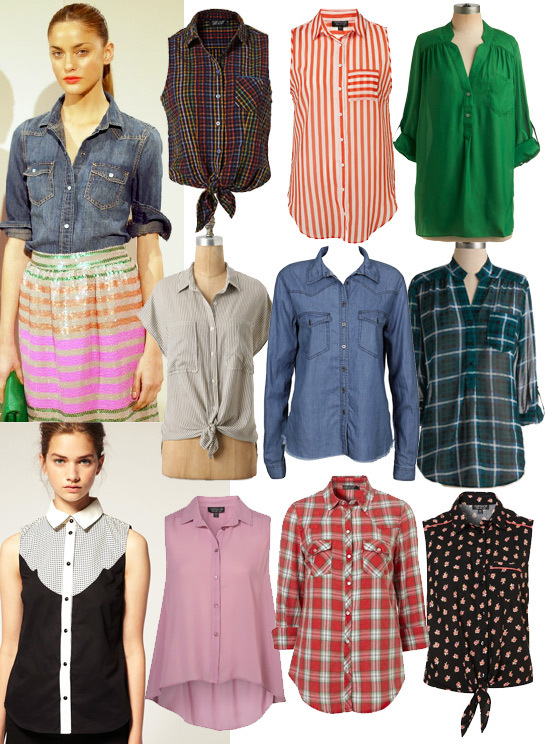 Now that I am completely enamored with shift dresses, I thought I would create a collage of inspiration. 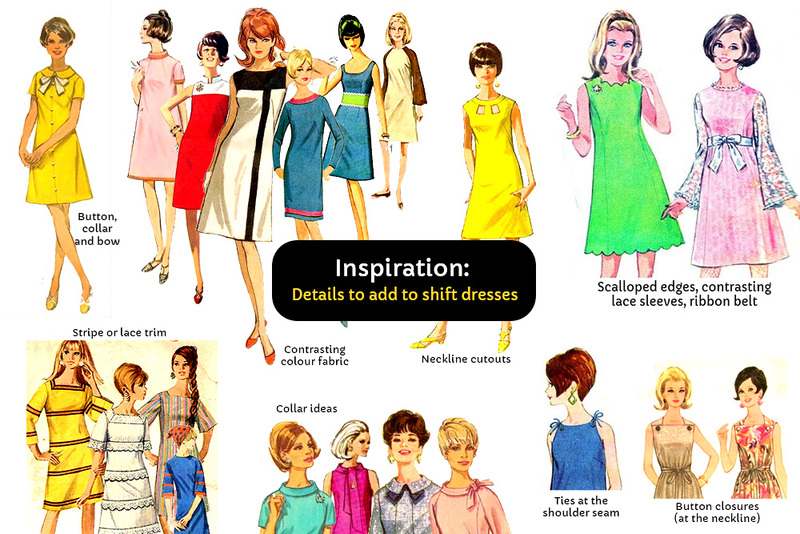 That way, when I have found a shift dress pattern that works for me, I can add some cute details and tweaks inspired by vintage sewing patterns of the 60s. Hope it inspires you too! Above: The inspiration for my next project(s) Click for bigger version of the inspiration image! Apologies for how boring this blog has become. I have had to cut back on sewing due to problems with my legs (when I sew). Anyway the thing is I LOVE clothing from the mid to late 60s (fav fashion era!) 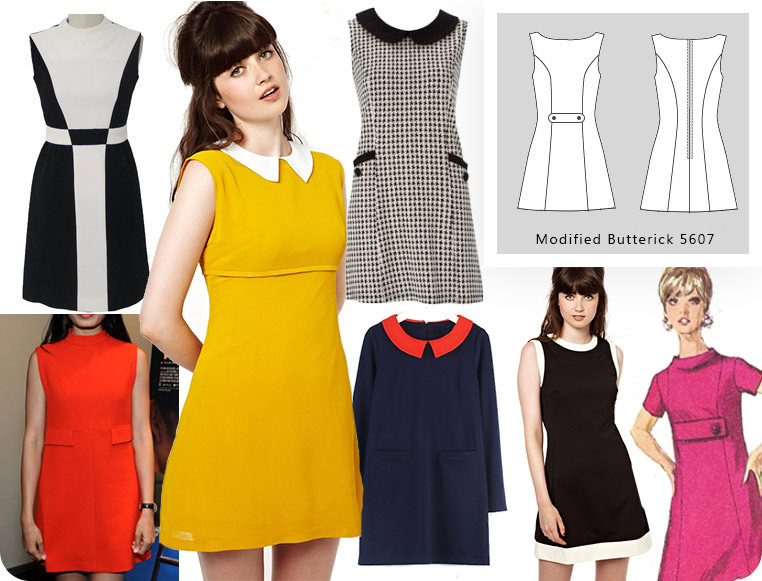 and I have become obsessed with trying to find a good pattern for a mod-style shift dress. There are so many great makes all over the internet inspired by this kind of look. Cat, Gertie, Erica and Chanel just to mention a few! I love the ease and simplicity of this kind of look. In the past I have made looser darted shift dresses, but the fit has never been good. I think I have found pattern to fulfill my dream of a late 60s look! If you look at the sewn dress on the pattern envelope it has this awful 90s pastel prom styling, but looking at the technical drawing it’s clear that it is a good base to achieve the look I want. So basic! Princess seams/pannel lines are where its at! Princess seams are much easier to fit and alter and super flattering on curves PLUS they are so quick to sew! There will be no marking and fussing around with darts for a change! 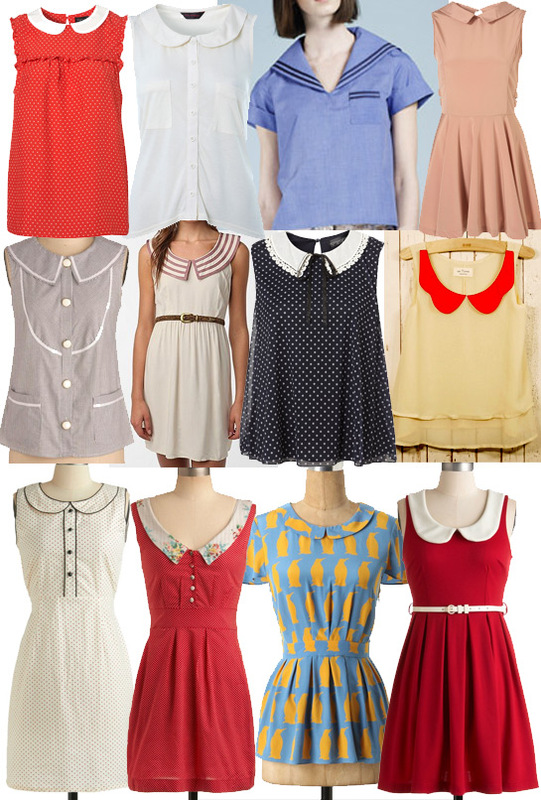 If I manage to make this pattern work for me I will make a ton of dresses with collars, colour clocking etc. 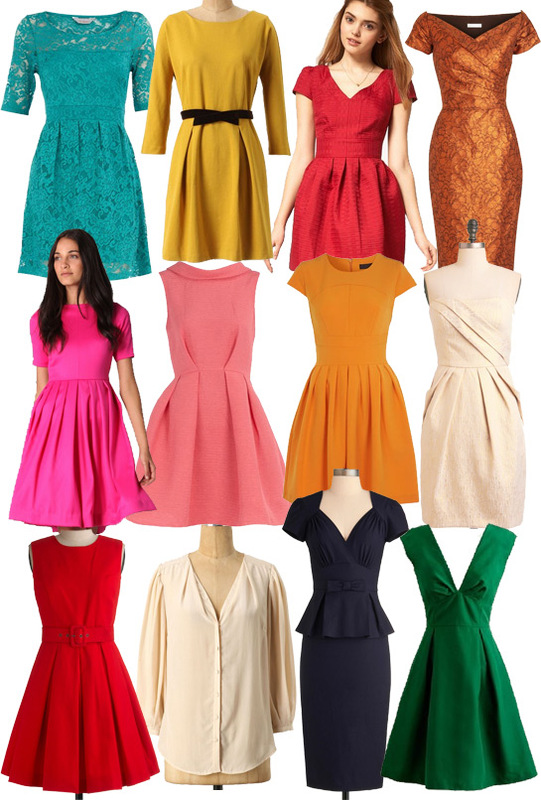 A wardrobe of these dresses mwhahahaha *ahem* sorry bit over excited! So I have made two muslins of this pattern, just taking some excess out from the bust (hopefully making the bust less weird and pointy) I have also cut out the altered pattern in my fashion fabric, so I am on my way! Whether peter pan style, contrasting in colour, pointy, or covered in lace and trim. The love affair continues. I Have yet to include this in a sewing project but it’s another way to make a piece of clothing a little more playful and feminine. I have a store-bought rayon blouse that has a collar with scalloped edges and it is one of my favorite things in my wardrobe. I was looking through my pintrest sewing inspiration board and I have noticed definite themes/similarities in what I like to pin. So this post is an ode to bows. They up the cuteness factor. It must be the girly girl in me…I just love a bow or 3. Methinks I better sew some bow belts! .Tilly and the Buttons has a great bow belt tutorial!